The SBU is to check whether his involvement is reasonable. President Petro Poroshenko has instructed the Security Service of Ukraine (SBU) to check the expediency of controversial pro-Russian politician Viktor Medvedchuk's involvement in the humanitarian subgroup of the trilateral contact group on Donbas settlement. 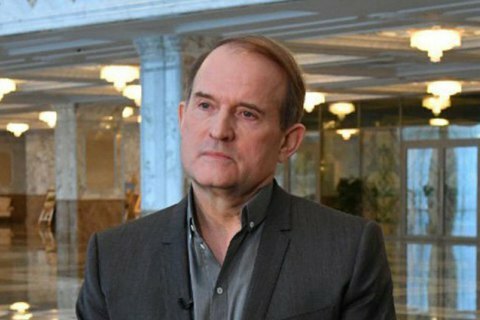 "Medvedchuk had one function: to release hostages held in cellars in occupied territories and in Russian prisones. Last time it happened in December 2017. This cannot be called effective at all… If there is another complaint, or maybe it is enough already – I'm calling on the SBU to consider whether it is reasonable to continue to use Mr Medvedchuk in the format of the humanitarian group to secure hostages' release if his functioning is ineffective. Report to me tomorrow," Poroshenko said on the air of Novoye Vremya Radio. He recalled that Medvedchuk was appointed to the group because he is a "channel of communication with Russian President Vladimir Putin". However, he added, Medvedchuk de facto represented Russia in the trilateral contact group and "proved ineffective for Ukraine". In early December 2018, Ukraine's representative in the trilateral contact group on a Donbas settlement, Yevhen Marchuk, said that Medvedchuk had not taken part in the work of the group recently.